Straightforward, Affordable Pricing with no B.S. We Are Dayton’s Web Development Experts! Hi, my name is Gayle Jenkins and I am a web designer, online marketing specialist, and entrepreneur. I’m also a wife and mother of five, so obviously I enjoy staying busy! I am a lifelong geek and philosophy student. I strive to live life to the fullest, and I teach my children to always find the time to be grateful for small pleasures, like smelling flowers. I personally work with each and every customer to deliver beautiful websites, great user experiences and interfaces, and to transform the client’s vision into a working website that exceeds their expectations. On the AdWords and Facebook side of things, I strive to reduce cost by creating excellent, converting landing pages, and content based marketing created through a direct relationship with my clients. I am a registered Google Partner through my company, DNA Computers. 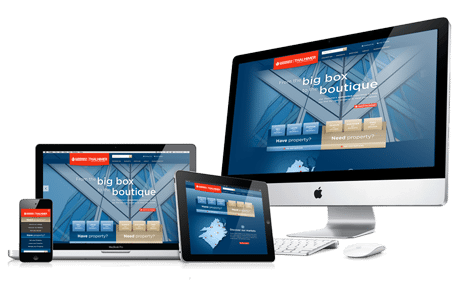 Having a well designed website is essential in today’s business world. Your potential customers aren’t looking for you in the Yellow Pages anymore, they are Googling the products and services they need, from their cell phones in many cases. You may have been approached by big marketing groups (HIBU, I’m looking at you), who offer a $99 landing page as part of their online advertising package, built by their satellite office in who-knows-where and managed along with 100 other small accounts. We have a BETTER solution. We will build your business a professional & beautiful website, using modern development technologies and coding standards, designed to scale up as your business develops. Our websites are designed to showcase your business online so that your potential customers find you, no matter what device they are surfing the web on. KNOWLEDGE – There are many services online that are free, or very cheap, that are either all or mostly DIY (Do It Yourself). You are busy running your business. We get it. It is very hard to build a good website with little to no experience, so let us help you. TIME – Time is money. As a busy business owner or manager, you just don’t have the time it would take to learn to code or build your own website from scratch. Building complete online business solutions is our specialty! Do You Have a More Complex Project? Lets Chat! We have extensive experience building custom, integrated website / CRM / Telephony systems and marketing national clients in both AdWords and Social Media. Ask about custom Drupal Modules, PHP Customization and more. More than 75% of website traffic is coming from Cell Phone and Tablets. Soak that in for a moment. In many cases, we have seen mobile traffic in excess of 80% of total traffic. If your website doesn’t format correctly for mobile, you are losing a lot of potential customers! We can help you! We believe that EVERY Business should be able to afford a GREAT website, Online Marketing like AdWords and Facebook doesn’t have to cost an arm and a leg, and great dependable service should be personal and locally available. We are a local, Fairborn, Ohio design, hosting, and marketing company, and we are proud to be your Dayton Web Design Company, and we serve all of the surrounding areas including Kettering, Beavercreek, Centerville, Miamisburg, Springfield, Englewood and more! Our PPC management pricing and AdWords management fees are straight forward and simple to understand. We want you to know, up-front, what your PPC costs are. Your cost is based on the amount of your monthly PPC Budget. There is no contract required for our services. Our service is month-to-month and you may cancel at any time by giving a 30 day notice. We specialize in Google AdWords, Bing and Yahoo SEM, and Facebook / Social Marketing and Brand Awareness campaigns. Our goal is 100% customer satisfaction, and we want to EARN your repeat business! Already advertising on Google? Let one of our Google Certified Professionals perform a free AdWords campaign audit for your account. We’ll let you know the results of our audit and whether or not Jengas Digital Solutions may be a good fit for your Google pay-per-click campaign. We also specialize in Facebook Campaigns, Social Media Setup, Display Ads and More. There is absolutely no obligation for us conducting the AdWords audit, and the results of our analysis are yours to keep. When your high-traffic website needs more speed, resources, and flexibility than our VPS Hosting Provides, step up to Dedicated Hosting. We give you the power to run quickly, and reliably without interruption! Downtime means lost sales when you are dealing with ecommerce. A dedicated server will ensure that you have the resources to handle even the highest traffic to your website so you can focus on sales. Want to sell hosting? If you are a web designer or developer, you can make some cash by hosting them on your own dedicated server. Questions? Comments? We would love to hear from you! Jengas Digital Solutions is proud to be the digital partner of Your Friendly Neighborhood Computer Store, DNA Computers. With decades of combined experience in website design, server management, and online marketing, we have the skills and knowledge to help your business succeed, regardless of your budget.